Budapest is the capital of Hungary is recognized as world heritage by UNESCO in 1987. Want to know what's there?. Budapest is one of the places worth visiting if you have plans to vacation in Europe. Budapest has diversity of cultures with incredible color and taste. City that crossed by the Danube River is often mentioned as one of the loveliest and most romantic cities in the world. Even in some guidebook, Budapest called the "Paris of the East". 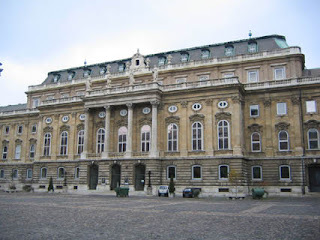 If a visit to Budapest's most significant tourist attractions are centered around the river Danube. You can cross the river Danube with Chain Bridge and around the city using a segway. After that you can deceive yourself in the charm and beauty of the Hungarian Parliament Building, Castle Hill, Royal Palace, Matthias Church, Fisherman's Bastion, and St. Stephen's Basilica. Not only that, visiting the Statue of Liberty and enjoy the beautiful landscape of the City of Budapest, this building could be the next choice to enjoy the beauty of the city of Budapest. 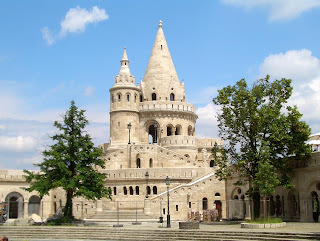 Halaszbastya or Fisherman's Bastion is a terrace of buildings of neo-Gothic and neo-Roman, located on the banks of the Danube and the Buda Castle in Budapest hills, around Matthias Church. The building was designed and built by Frigyes Schulek around the year 1895 until 1902. There are seven towers and here you can see the view of the ships that sail around the building this luxury. 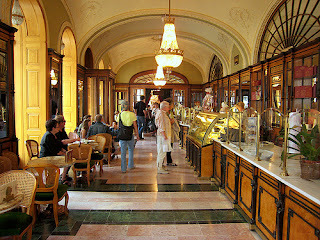 One of the oldest cafes in Budapest is Gerbeaud. Here you can enjoy the pastries are delicious. Gerbeaud usually crowded after the visitors leave the town square. 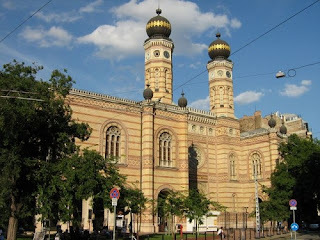 It is the largest synagogue in Europe is fantastic and spectacular basilica as well as rich in the interior, especially the carved pulpit, organ and sparkle of the chandeliers. "A treasure trove of fabulous and modern Hungarian art is here", said Erzsebet Marton, senior editorial staff member of the Muzeum Cafe. 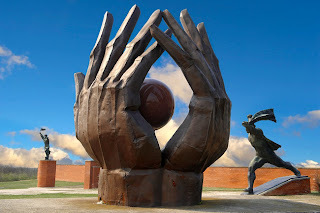 Some relics of the Soviet-era statues and monuments are Lenin, Marx, Engel who moved here in the early 1990s after the fall of the communist regime or Hungary. 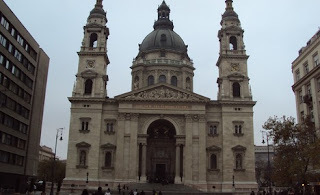 This is Budapest's largest church is the home to the Szent Jobb (Holy Right Hand), the first king's mummified hand of Hungary and St. Stephen. Get into the elevator to the dome to watch the scenery is so amazing. 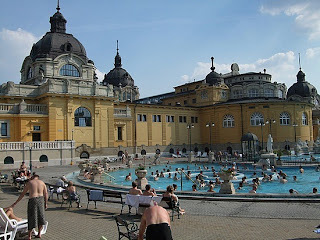 One of the largest spas in Europe that has 15 swimming pools, massage, and soak the Szechenyi Baths. Neo-baroque building was founded in 1913 and recently renovated. 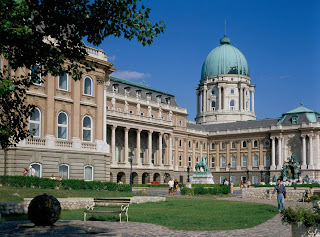 Inside this museum contains a permanent space for exhibitions relating to the history of Hungary in English.